Häfele, one of the leading international specialists for kitchen and furniture fittings, architectural hardware, electronic access control systems as well as home appliances and bathroom solutions, will showcase “Ideas for Living” as well as display innovative products on its Vietbuild exhibition in hall A2 with over 100m2. In this busy lifestyle, the home is becoming more and more relevant and clever solutions as well as comfortability especially at home are being asked for. In the Häfele world, “More life per square metre” is the response to this challenge. “More life” means more comfort, convenience and functionality. Innovative solutions by Häfele make this possible. The inspiration area explores the global social trend of utilization of living spaces and their clever organisation with innovative furniture solutions. A kitchen is not just simply a kitchen anymore. No matter what the style of kitchen, it’s how it will work for you that will make all the difference. Much more than a food preparation area, it’s where you can relax, entertain, create and enjoy with family and friends. If every detail is right, designed to suit you and your lifestyle, it can have a truly positive influence on the way you live. Optimal access areas in the wardrobe can also make your life much easier. One look, one movement – and you have the desired piece of clothing in your hand. 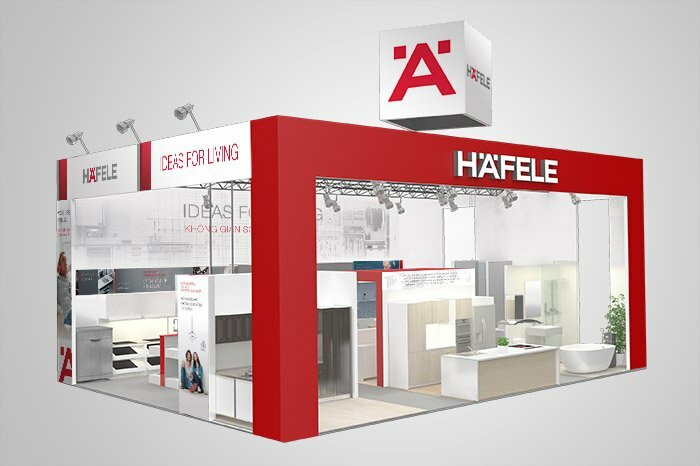 Besides that, Häfele will also introduce the newest technologies and innovation in home appliances and sanitary fittings and wares. Quality products with sleek designs and made in Europe are the answers to customer demands. The intelligent furniture settings in combination with the innovative hardware solutions and newest technologies on display create a balance between functionality and comfort. The constant observation of trends and constantly changing social demands for comfortable furniture with additional functional features as well as comfortable living spaces, are the basis for Häfele’s comprehensive expertise in furniture and living concepts. Time: 8:30 – 19:00 from 18th Jun to 22nd Jun, 2015.